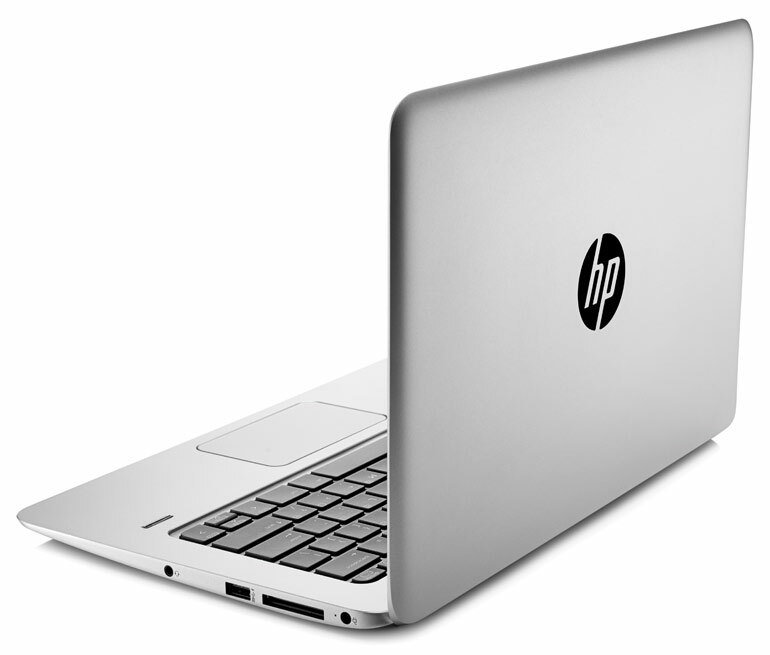 Despite problems with its screen, the HP EliteBook Folio 1020 is still a very good ultraportable laptop. HP’s list price of nearly £1500 ex VAT is hard to stomach, but thankfully it can be had at a much more reasonable £956 ex VAT if you shop around. Its excellent build quality, good battery life, comfortable keyboard, wide selection of ports, quiet operation and useful security features make it a top-notch lightweight business laptop. 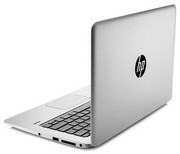 The HP EliteBook Folio 1020 is a well-made machine that offers the portability and aesthetics of the Apple MacBook Air 13-inch (2014), our Editors' Choice mainstream ultraportable, but doesn't match it in every respect. It doesn't deliver the all-day battery life or the potent performance offered by the MacBook Air or similar Windows systems like the Dell XPS 13 Touch. It's a great option for office workers who want both portability and a solid work system, particularly for the security conscious, but if you want to make the most of your work—whether in the office or on the go—you'd do better with either the Apple MacBook Air 13-inch (2014) or the Lenovo Yoga 3 Pro. Packing a stunning, sturdy chassis, a comfortable keyboard and a vivid quad HD display, the HP Elitebook Folio 1020 ($1,199 starting, $1,499 as reviewed) has almost everything you need to get work done in style. The notebook's satisfying Intel Core M performance, dependable fingerprint reader and robust security software make it ideal for the office. 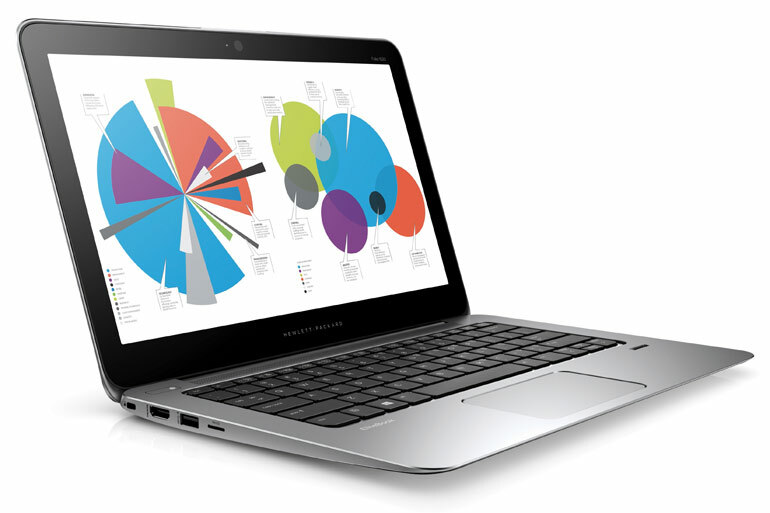 The HP EliteBook Folio 1020 is a fantastic premium laptop that delivers on almost expectation of a business laptop. When it comes to portability the Folio 1020 is ideal because of the lightweight design, while the durable chassis ensures that the device will hold up to the wears and tears of the road; and let’s not forget the long-lasting battery life that helps users get the most out of a single charge. Positive: Slim and light; silent cooling system. Positive: Interesting design and functionality; good display. Positive: Excellent FHD display; comfortable backlit keyboard; docking capability. Negative: Very limited maximum opening angle; poor touchpad. Modell: Das HP Elitebook Folio 1020 ist laut HP der weltweit leichteste und dünnste Laptop der Business-Klasse. Dieses unglaublich dünne Gerät wurde durch eine Kombination aus Magnesium-Lithium-Legierung und Kohlefaser möglich. Der Verbund geht keinen Kompromiss in puncto Robustheit ein und ermöglicht dennoch eine elegante Oberfläche. Das Design ist mit glatten Linien und einer schwarzen Tastatur in einem dunkelsilbernen Gehäuse einfach gehalten. Das Mauspad ist groß und komfortabel und sorgt für einfache Navigation. Das HP Elitebook Folio 1020 ist je nach den individuellen Anforderungen einer Firma in einigen Varianten erhältlich. Es kann zwischen zwei CPUs gewählt werden, wovon die Intel Core M-5Y71 mit 1.2 GHz kombiniert mit 8 GB 8 GB LPDDR3 SDRAM das Topmodell ist. Die Speicher-Optionen reichen von 128 GB bis zu 256 GB Self Encrypting Drive Opal 2. Sogar das Betriebssystem kann zwischen Windows 8.1 Pro, Windows 7 Pro, Ubuntu oder FreeDOS gewählt werden. Das 1.2 kg Gerät beherbergt einen 12,5 Zoll großen eDPUltraslim FHD-Bildschirm mit optionalem Touch-Support. Ein Intel HD Graphics 5300 Grafikprozessor steuert den Bildschirm an. Dieser reicht für alltägliche Business-Aufgaben. Zu den weiteren Features gehören eine HD-Webcam, HD Audio mit DTS Studio Sound, integrierten Dual-Array-Mikrofonen und einer Fülle von Security-Software und Implementationen. Das HP Elitebook Folio 1020 erfüllt U.S.-Militärstandards und liefert eine Akkulaufzeit von bis zu 9 Stunden bei gemischter Verwendung. 5Y51: Auf der Broadwell-Architektur basierender, sehr sparsamer ULV-SoC (System-on-a-Chip) für lüfterlose Tablets und 2-in-1-Notebooks. Integriert unter anderem zwei CPU-Kerne sowie eine Grafikeinheit und wird in 14-Nanometer-Technik gefertigt.» Weitere Infos gibt es in unserem Prozessorvergleich Vergleich mobiler Prozessoren und der Prozessoren Benchmarkliste .